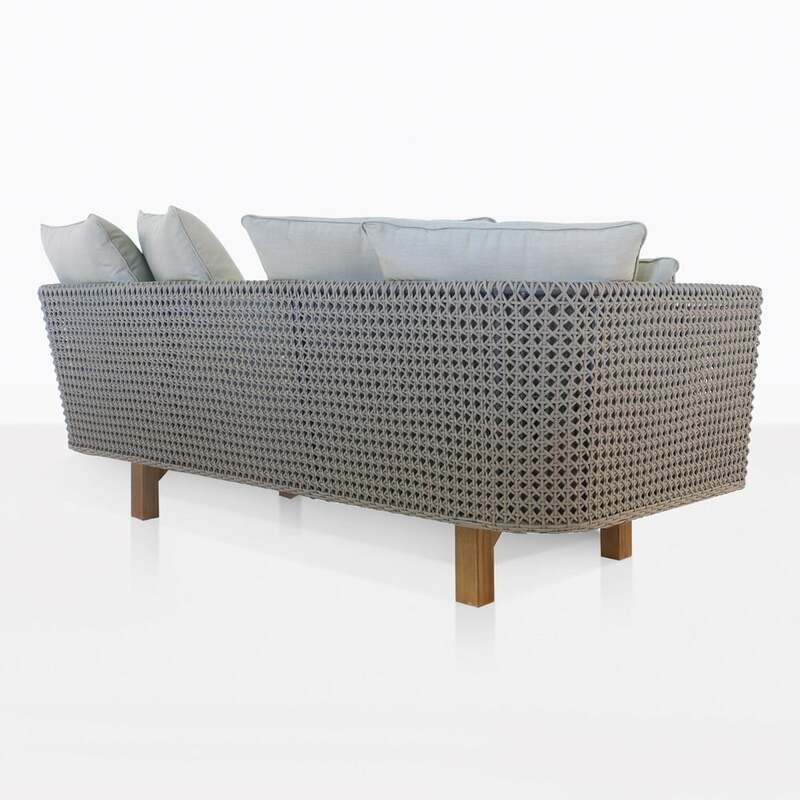 The Brazil Rope Sofa has that effortlessly cool vibe that will beckon you to your outdoor space. Made with powder-coated aluminum, high tech rope, teak and Sunbrella® so that it looks good and is durable. The base of the sofa is made of a teak platform. The back of the frame and arms are powder-coated aluminum. Special rope cordage is then beautifully wrapped around the frame. The attention to detail is exquisite. These mix of materials makes a great combination of texture and style. The deep seat and plush back cushions make it extremely comfortable and inviting. So kick back, relax, sip a cold beverage of your choice and instantly be on vacation right at home. The Brazil sofa has an exotic vibe and feels very easy and breezy. It begs for an afternoon siesta after a cool mojito. The mixture of materials is stunning and the craftsmanship is evident. 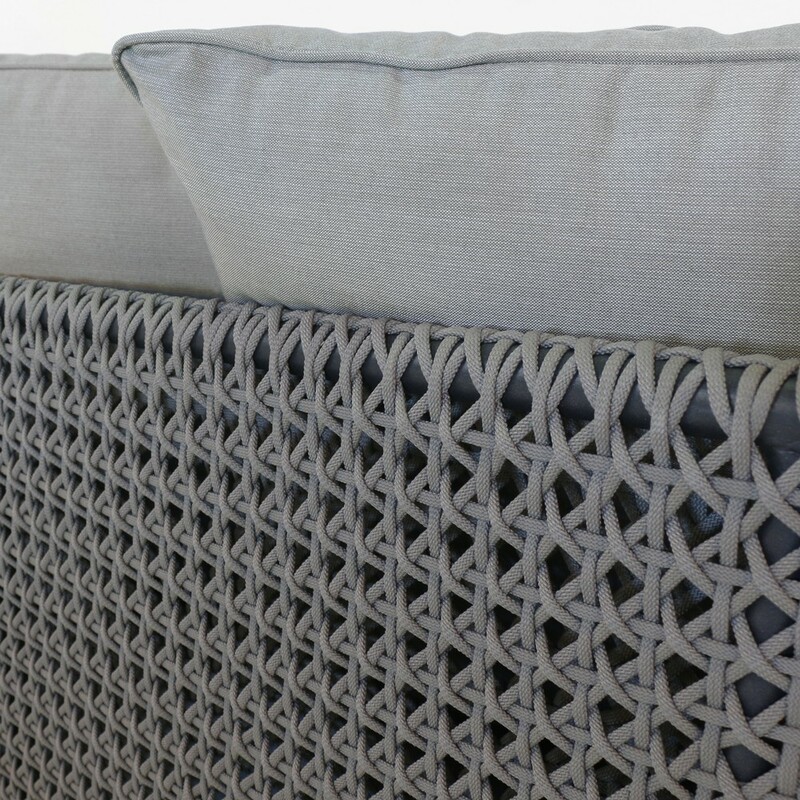 The Brazil patio couch will go well with many of our relaxing chairs so that you can create a seating area the is inviting and roomy. 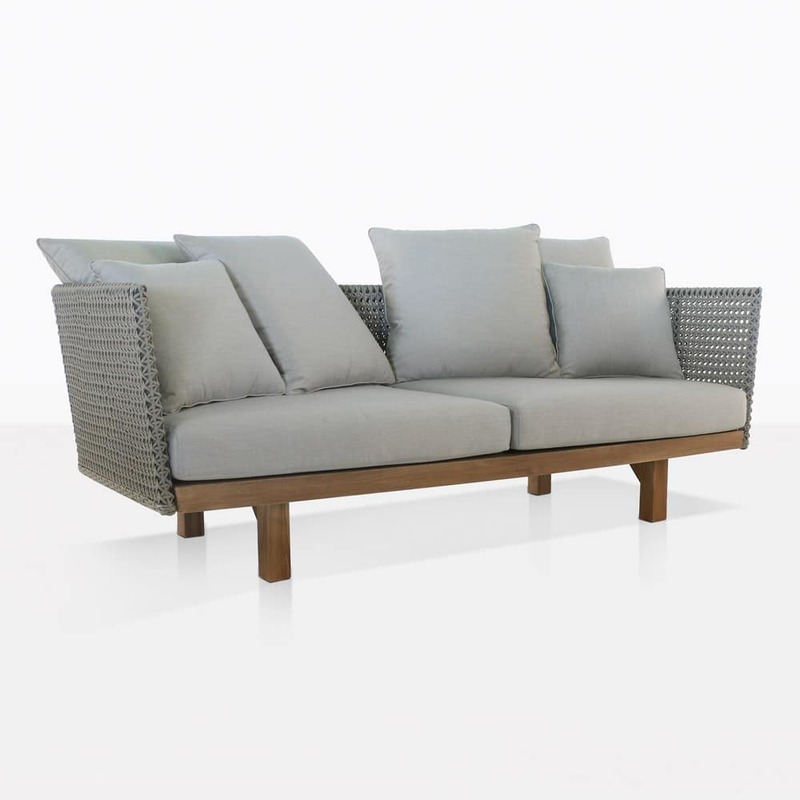 Or pair two Brazil outdoor sofas with some reclaimed teak coffee tables for a uniform look. 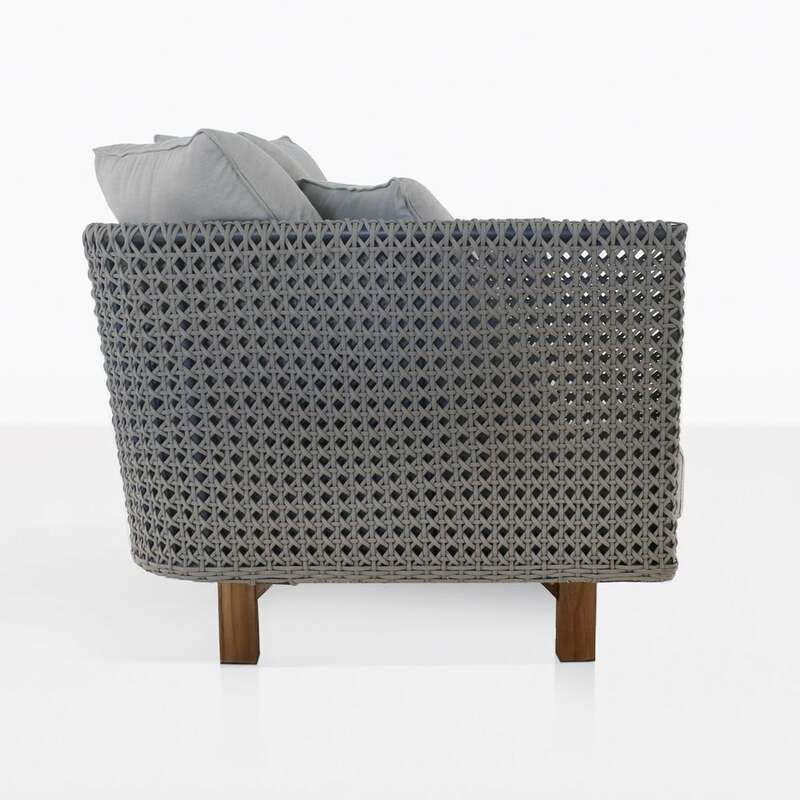 We offer a wide range of deep seating furniture in a-grade teak, recycled teak, aluminum, wicker and rope. Enjoy browsing our online catalog and if you have any questions please call or email us today!